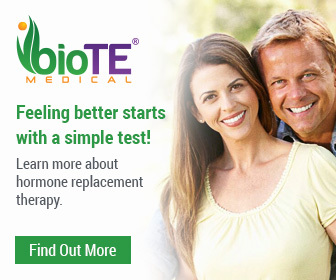 Bio-Identical Hormone Replacement Therapy for Women (BHRT) uses hormones that are identical, on a molecular level, to the natural hormones occurring in your body. The goal of BHRT is to supplement low hormone levels and to restore the critical hormone balance in your system. By restoring hormones to appropriate levels, BHRT can help eliminate many symptoms associated with menopause, adrenal fatigue, and other hormonal imbalances. Medical professionals on the forefront of anti-aging medicine use BHRT and related hormone replacement therapies to combat the aging process and its debilitating symptoms in women. Bio-identical Hormone Replacement Therapy for Women must be administered by an experienced physician who will first evaluate your existing medical condition and run a range of tests to determine your hormone levels. A BHRT physician will then create a custom treatment plan personalized to your specific needs and health concerns. Hormone levels will be monitored during and after your hormone treatment to ensure optimal health results and minimize side effects.